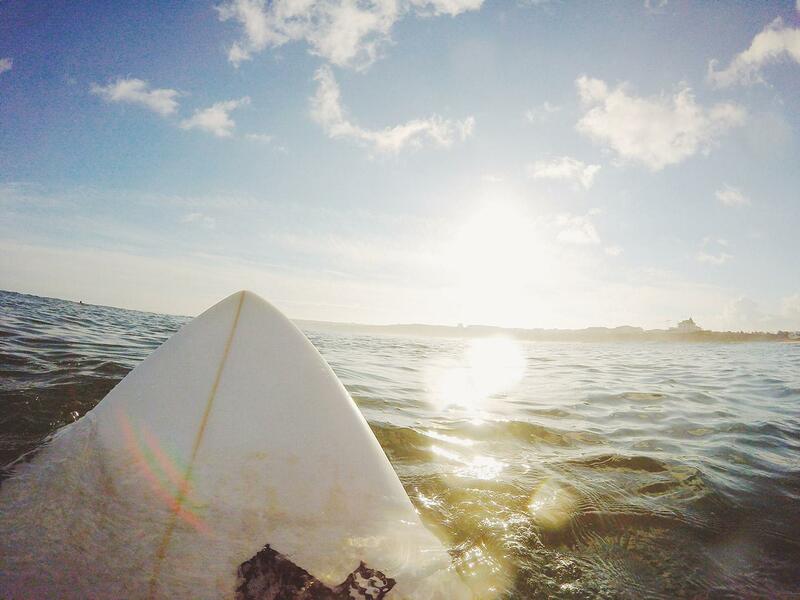 It’s winter season Y'all – let’s surf! Winter storms generate bigger, more consistent swells so it’s time to pack board bags and head to one of these destinations. We’ve gathered the best spots in terms of wave consistency, suitability for all levels (beginner, intermediate, pro), relatively cheap flights and good vibes only atmosphere. Have fun surfing your face off. You can’t talk about surfing in winter without mentioning this North African gem. You can’t talk about surfing in winter without mentioning this North African gem. The land of right-hand point breaks has over 3,600 km of coastline and it is guaranteed that everyone will have a perfect wave according to their level. Morocco is a year-round surfing destination but in the winter, the North Atlantic Sea comes truly alive and delivers the best swell. The water is around 62°F (17°C) so a good 3/2mm wetsuit should keep you up surfing all day long. In the past years, the country has been investing massively into the tourism sector providing excellent road infrastructure connecting all the surf destinations. Morocco is a perfect mix of rich culture, breathtaking landscapes, history, delicious food and pumping waves – and best of it – affordable prices. A country that holds a Guinness World Record for the largest wave ever surfed is obviously on our list. Portugal is undoubtedly European Mecca for surfing and winter time is the time for proper storms in North Atlantic which means strong and big waves. Don’t let the Guinness Record title fool you – from north to south – Portugal has a wave of all sizes. Even though Portugal is one of the warmest countries in Europe, the average water temperature in winter is around 59 °F (15 °C) so make sure to bring a 5/3mm steamer with you. Being one of the cheapest countries in Europe, it’s easy to hire a car with roof racks and check spots like Ericeira, Peniche and Sagres. Oh, did we mention that the seafood is absolutely delicious and the wine outrageously cheap? Yes, correct – it’s rainy season in Bali, but who cares? For surfers, it’s only good news: uncrowded line-ups. During the wet season, wind switches from West to East and the waves are firing up at the East Coast. Rain might be associated with cold, but in Bali, water temperature stays around 79 °F (26 °C) which means board shorts, rash vests, and bikinis when surfing. Other perks of so-called “off-season”: the nature of these stunning island’s comes alive, the cooling effect of the rain and fewer tourists. Prices in Bali aren’t as affordable as it used to be due to the large volume of visitors but remains nevertheless inexpensive. In case it’s flat, there so much to do in these island paradise – boredom is not an option. Get your bathers ready, mate! European winter means summer in Australia. Australian summer means cyclone and storm season that results in a great swell. Some of the world’s best surf spots (and surfers) can be found in this wild and beautiful country. The country is enormous (world’s sixth largest country!) 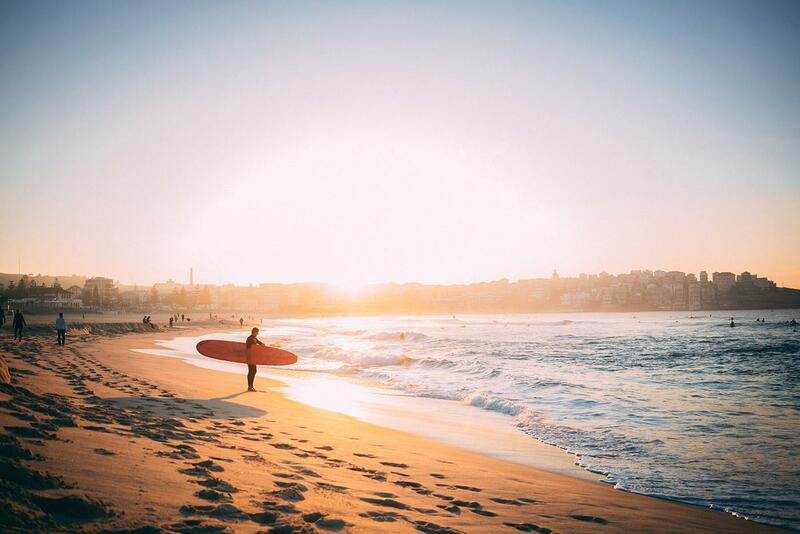 and for the surfing, we recommend hiring a car and to head to New South Wales, Queensland and Victoria – all levels and tastes served. The spots will be busy since surfing is the unofficial national sport in Australia and summer means locals are having their holidays. Don’t forget your sun protection – the sun is blazing hot! Beginner-friendly, sand bottom, reef breaks, tubes – the scenic Spanish archipelago has it all. Consisting of seven islands, the Canary Islands have been a place where European surfers escape for winter months. The islands are exposed to the swells coming from the North Atlantic paired with strong offshore wind. The main surf island Fuerteventura, Gran Canaria, Tenerife, and Lanzarote. Pick an island and beach according to your level. Canary’s climate is called “Eternal Spring” which means almost guaranteed beams of sunlight. The water temperature is around 64 °F (18 °C) in winter so a good 3/2 mm wetsuit is in place. Delicious food and award-winning vines won’t do harm after a three-hour long surf session.